A fantastic special has been announced from SU! If you would like to know more, please feel free to contact me for this amazing special. 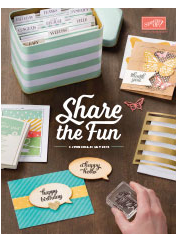 Promotion Details: During June, you have the opportunity to purchase—or earn for FREE—an exclusive stamp set, available only through this special offer!Get the Reason to Smile Set FREE when you spend $150 on any Stampin’ Up! products. Or purchase it at the regular retail price.